The global web performance market is expected to grow from USD 3.50 billion in 2017 to USD 5.45 billion by 2022, at a Compound Annual Growth Rate (CAGR) of 9.2% during the forecast period. The growth of the eCommerce industry, and proliferation of images, videos, and rich media on the web are some of the factors that are expected to drive the growth of the global web performance market. However, the lack of awareness about web performance solutions may hinder the market growth. The cloud computing model is one of the most effective technologies that impacts every line of business. The high cost associated with web performance solutions is one of the major challenges for solution providers; this challenge can be overcome with the help of the cloud deployment model. The advantages of cloud computing include flexibility, scalability, affordability, operational efficiency, and low cost. The adoption of cloud-based web performance solutions is in the nascent stage and is expected to grow significantly during the forecast period. The SMEs segment is expected to witness a higher CAGR as compared to the large enterprises segment during the forecast period. SMEs are contributing to the economy through digital capitalization, especially in the developing countries. This is expected to drive the higher adoption of web performance solutions among SMEs. The APAC region includes emerging economies such as China, Australia, Singapore, and India. Enterprises in these economies are using web performance solutions and services to streamline their business processes. The APAC region is expected to grow at the highest CAGR during the forecast period. The developing mobile and broadband infrastructure along with the growing mobile workforce is expected to offer potential growth opportunities for web performance vendors in the APAC region. On the other hand, North America is estimated to have the largest market size in the web performance market in 2017. In-depth interviews were conducted with Chief Executive Officers (CEOs), marketing directors, innovation and technology directors, and executives from various key organizations operating in the web performance market. The web performance market has been segmented on the basis of components (solutions and services), organization size, deployment types, verticals, and regions. A detailed analysis of the key industry players has been done to provide insights into their business overview; products and services; key strategies; new product launches; partnerships, agreements, and collaborations; expansions; and the competitive landscape associated with the global web performance market. The report segments the web performance market comprehensively and provides the closest approximations to the revenue numbers for the overall market segments and subsegments across different regions. 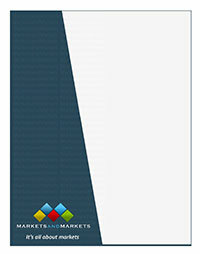 The report is expected to help stakeholders understand the pulse of the market and provides information on the key market drivers, restraints, challenges, and opportunities. The report is expected to help stakeholders understand their competitors better and gain more insights to advance their position in the market. The competitive landscape section includes the competitor ecosystem, new product developments, partnerships, and mergers and acquisitions.